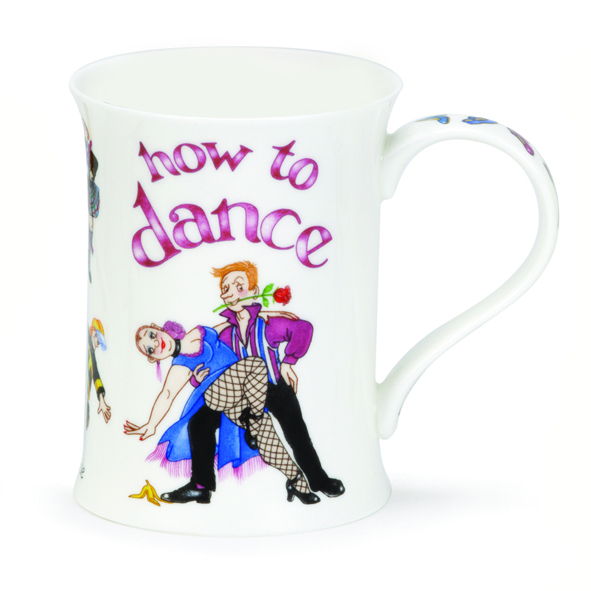 Dunoon Mug - How to Dance Mug 11.1 Oz. 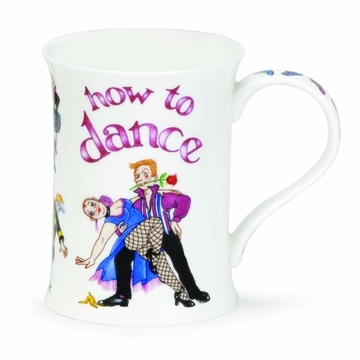 The Dunoon How to Dance Mug has a capacity of 11.1 ounces. Dunoon mugs are made of high-quality bone china in Staffordshire, England. The mugs are made with the finest clays and glazes that can be sourced. Each mug is beautifully decorated and is marked "Dunoon Fine Bone China Made in England." The mugs are light weight and durable.